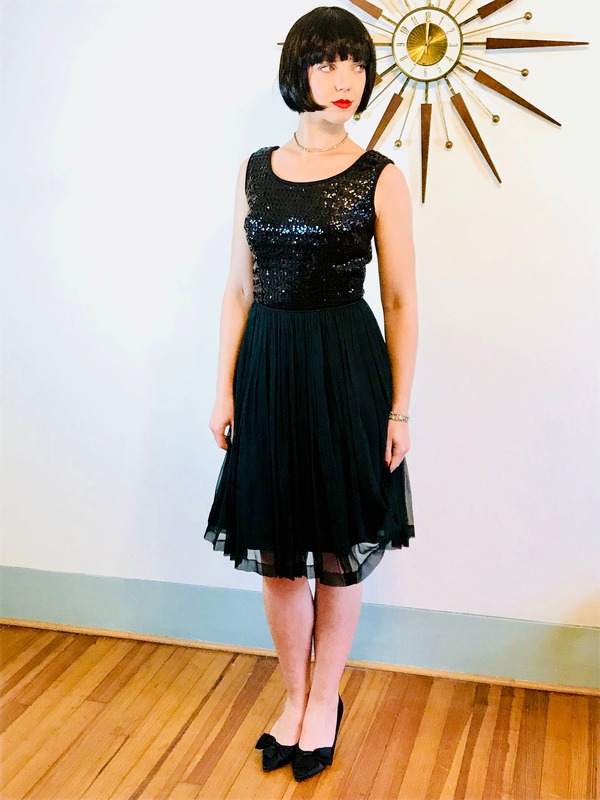 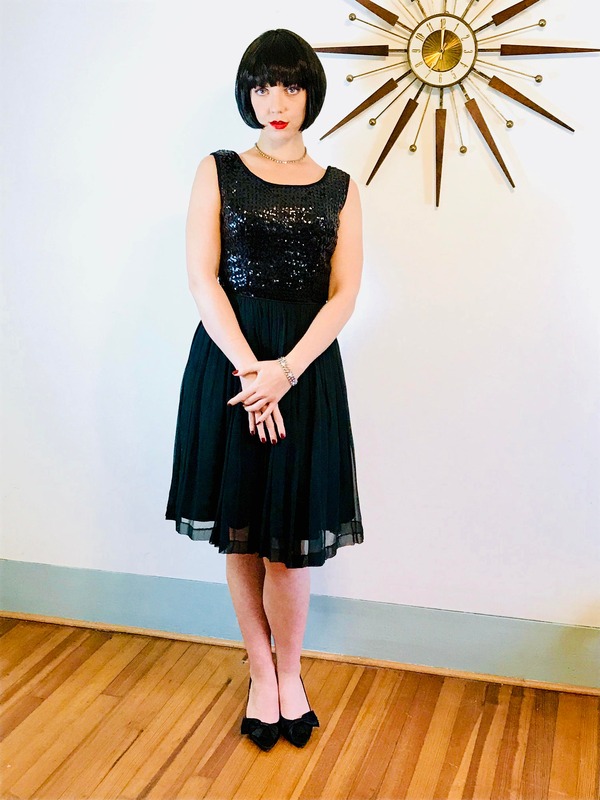 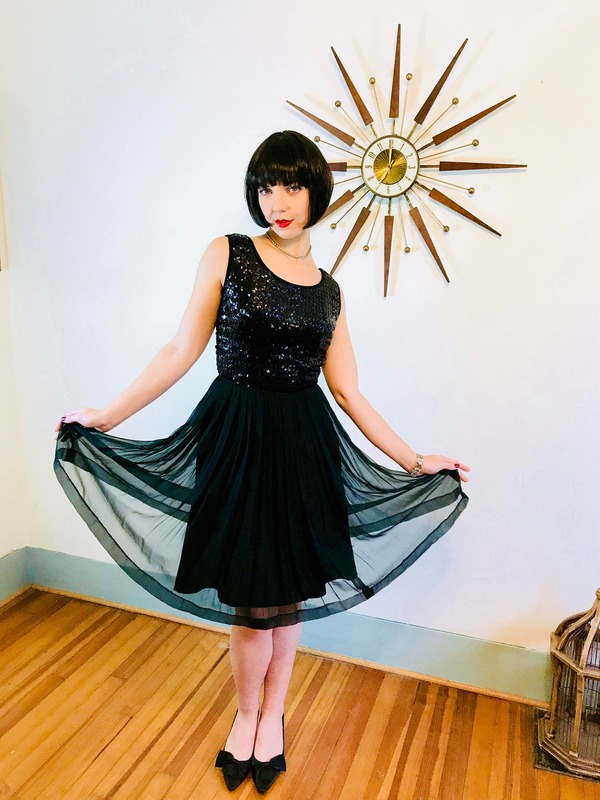 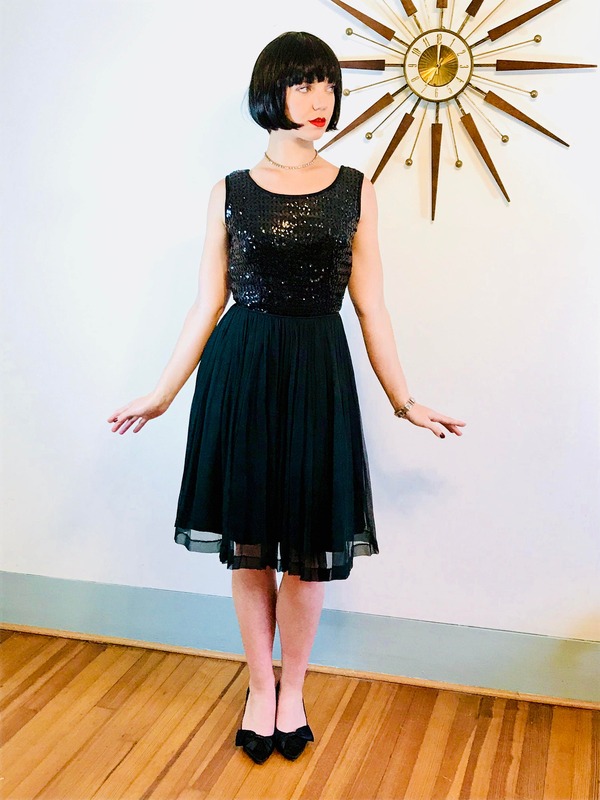 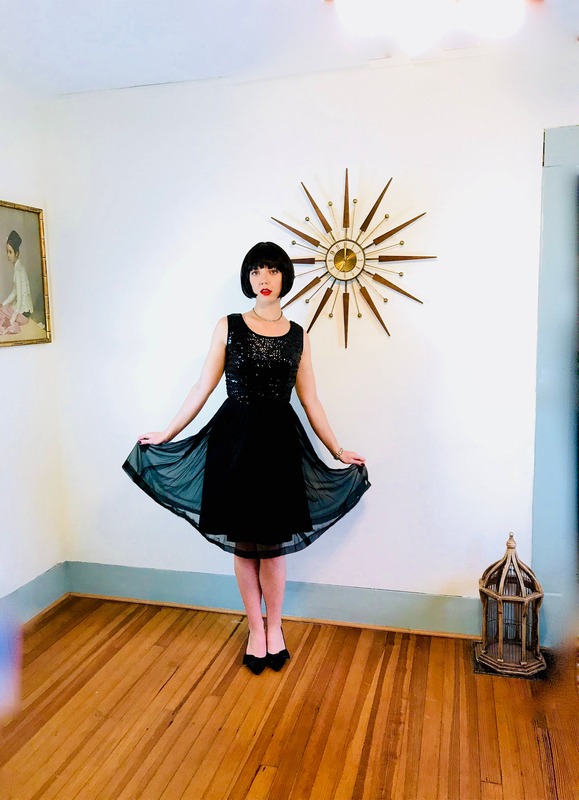 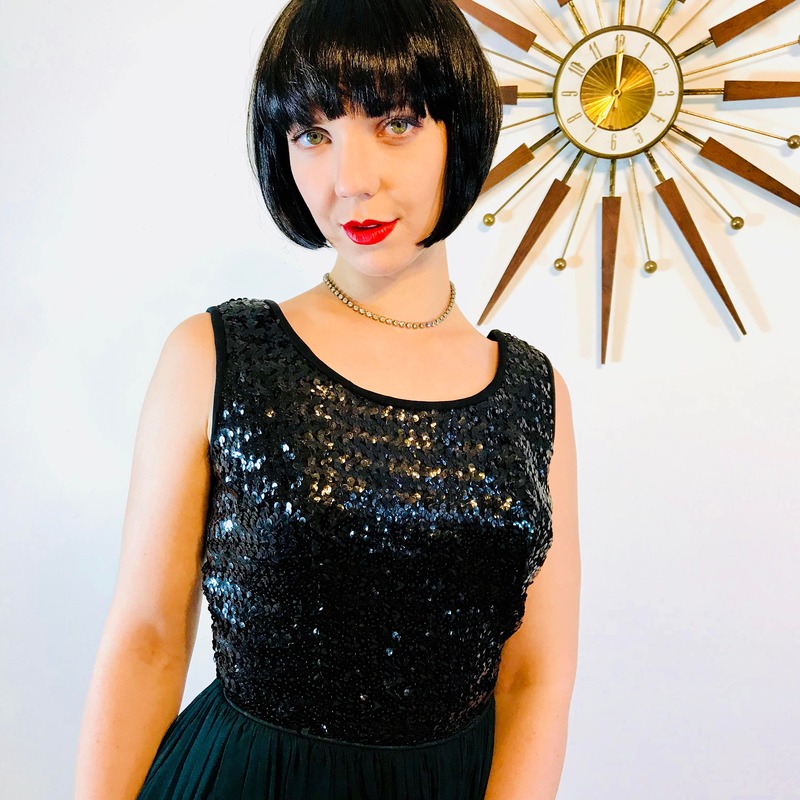 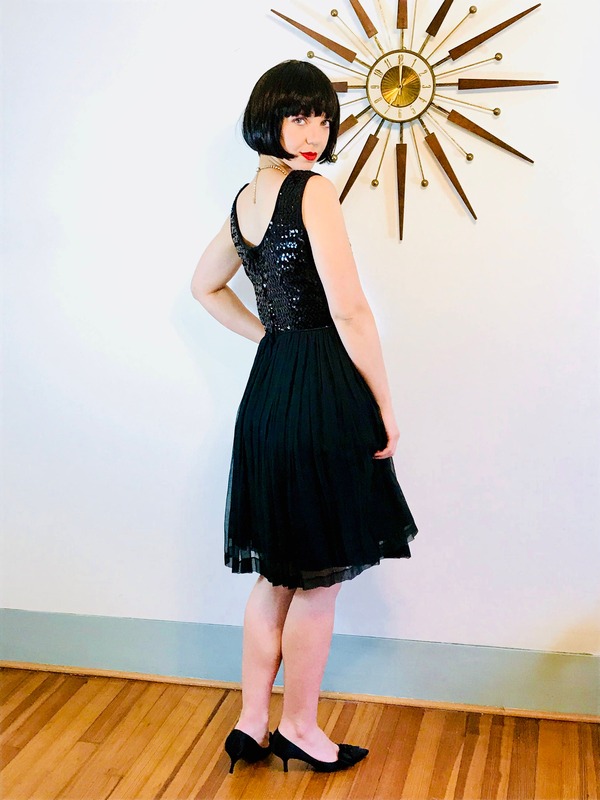 This Little Black Dress was made in the late 50s early 60s, and has a full sequin top and full double chiffon skirt. 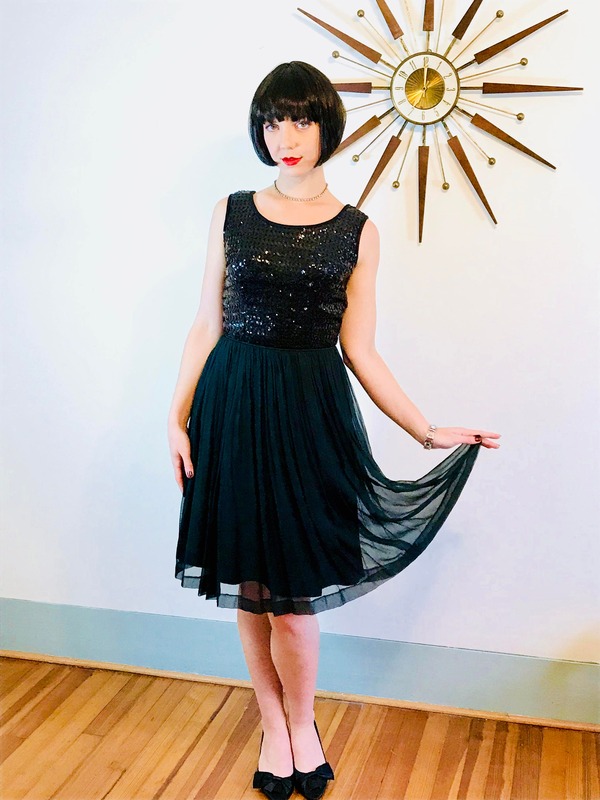 Fit & flare! 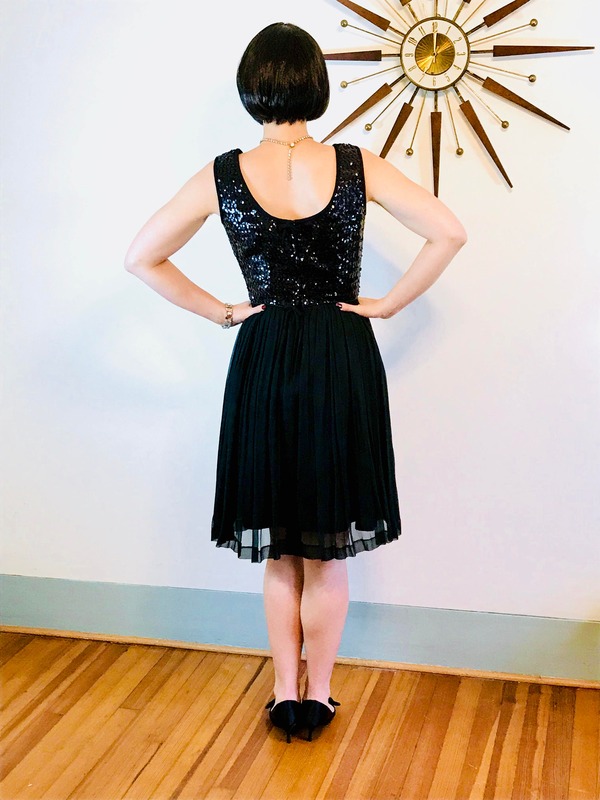 Material: Chiffon Shell, Full Sequin bodice, satin lining. 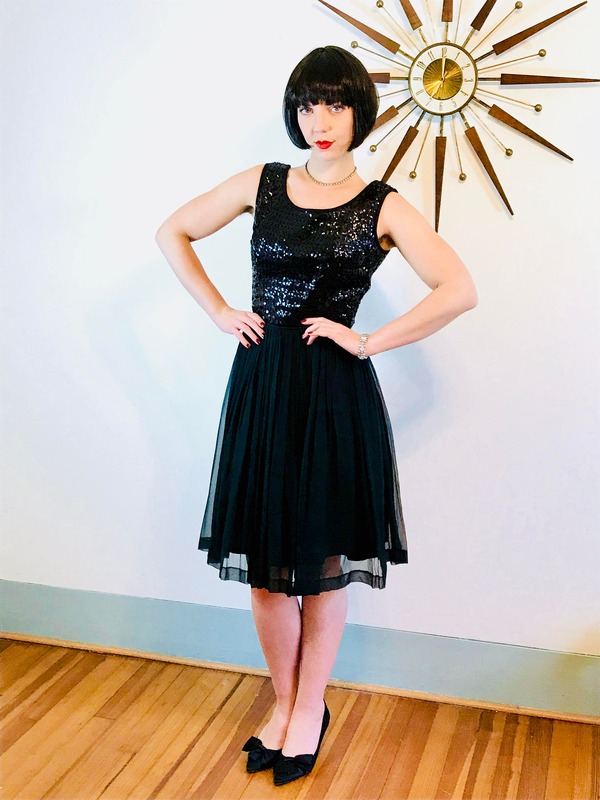 My model measures: bust:34", waist:27", hips:39", height:5'9"